When Jay Wolfe was running four small used car dealerships over a half century ago, it would have been hard to imagine the impressive group of auto dealerships that eventually ended up flourishing under Wolfe’s philosophy: “Everyday, in every way, nice people.” Jay Wolfe Toyota is a proud part of over five decades of this heritage, and we’re committed to continuing to deliver the highest quality products and services around. 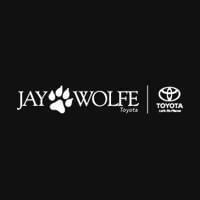 Jay Wolfe Toyota sets itself apart from other dealerships. We have hundreds of new Toyota models for sale, as well as a wide selection of used cars—including used cars under $10K. We want to make it as easy as possible for all of our customers to get the vehicle they want at a price that doesn’t stretch budgets too thin, and we’re glad to be able to offer competitive financing to make your vehicle more accessible. You can save even more by valuing your trade-in vehicle. It’s not just great deals, great prices, and friendly customer service that make us who we are, though. We offer professional Toyota maintenance and repairs in our recently expanded service facility, which is run by Toyota Certified Technicians. 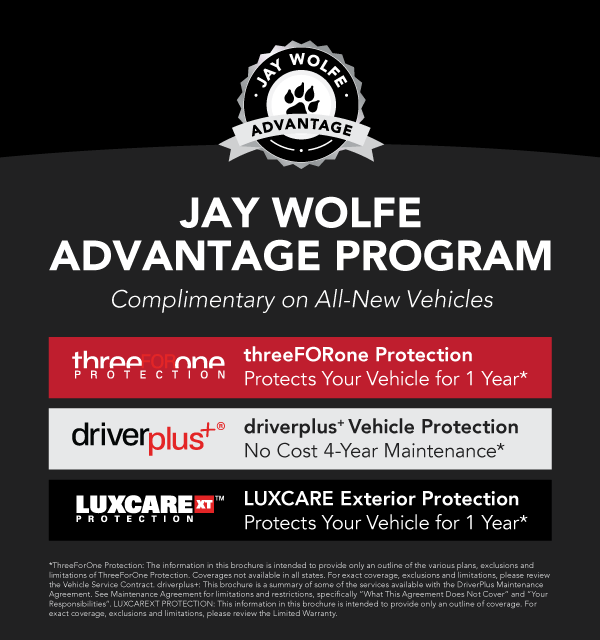 You can also participate in the Jay Wolfe Advantage Program, which gives you four years of maintenance, exterior protection, and first day rental, as well as windshield protection, paintless dent repair, and tire and wheel protection. Stop by Jay Wolfe Toyota for all your automotive needs, and count on us to provide you with top-of-the-line service from the buying process to maintenance and repairs. We’re located at 9650 N.W. Prairie View Rd. in Kansas City, MO, and you can always reach us online or call us at (816) 454-8999.